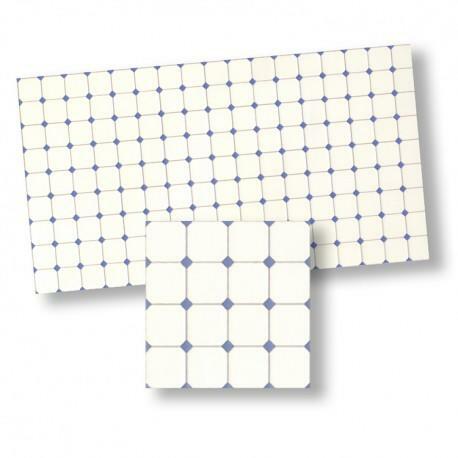 Embossed card of white tiles with small blue diamante tiles. 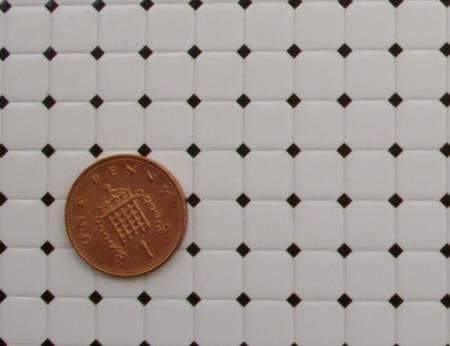 Each large tile white is 8mm square. 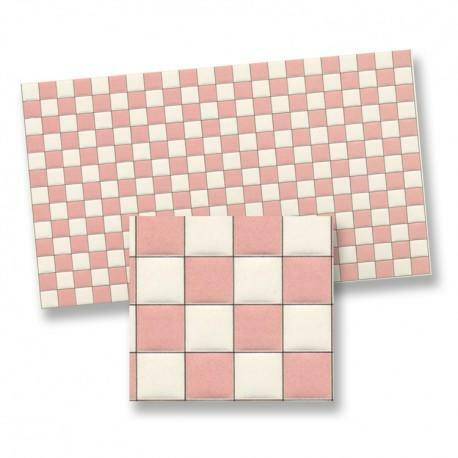 Card of tiles measures 140 x 82mm. 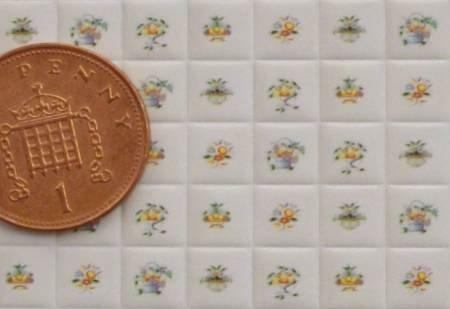 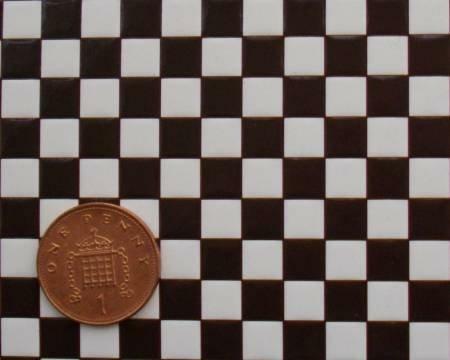 Suitable for 1/24th scale floor or wall tiles or 1/48th scale floor tiles.